Notwithstanding numerous flat-out falsehoods that have been propagated about my personal integrity and my positions on the issues, there is one recent mass campaign mailing that is especially egregious. Simply put, having long proposed that West Virginia cease to tax social security and pensions, I have also introduced legislation, during my previous tern of office (2010-2014), to eliminate state taxation of social security benefits. 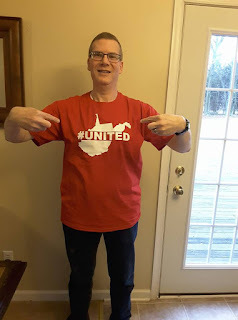 This has been clearly stated and published by me, as a candidate for election to the West Virginia House of Delegates (see www.LarryKump.us, "Kump again returns to public service" post). My advocation of the elimination of state taxation of social security also has been published in "The Morgan Messenger" newspaper and other news media, as well as during various candidate forums. Further, although falsely claimed otherwise by another detractor, I also have been a long time advocate and supporter for the improvements at Cacapon State Park. Please share this message with others, asking them to go and do likewise. First in all of West Virginia! The Berkeley County polling place was packed with eager voters, more so than I've ever before noticed in any previous election. 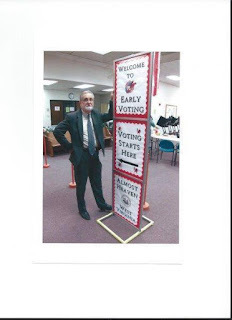 There now are early voting opportunities at the local courthouses or voter registration offices throughout West Virginia, on almost every day except Sundays..
Will you take just a few minutes of your time and effort to do your citizen duty and cast your vote? Please share this message with others, asking them to also do the same with still more others. Also, visit www.LarryKump.us and www.facebook.com/Larry-DKump for more about me and the issues. Addendum: The total early voter participation in Berkeley County on Wednesday, October 24th, 2018 was 1748! Falling Waters, West Virginia – Former two term West Virginia Delegate Larry D. Kump (2010-2014, Berkeley-Morgan Counties) announced, “After a strong and steady stream of personal pleadings urged me to return to public office, and prolonged pondering and personal prayer, I have decided to yet again come out of retirement and answer this call to return to duty. And so, I now am a Republican candidate for election to the West Virginia House of Delegates in 2018 (District #59)." "For me, this decision was and is not about any other candidate or that candidate's record or position on the issues. Instead, 'Protanto quid retribuamus?' (What shall we give in return for so much?) is the reason for my answer to the call to return to duty." “When previously elected in 2010, it was my sincere promise and firm conviction to always stand up and speak out on behalf of more taxpayer friendly and less intrusive government. That has not changed, nor will it ever!" “While continuing to carefully listen to the whole gamut of citizen concerns, my grass-roots championing has been and always will be in compliance with our divinely inspired Constitution, the well-spring of our American Excellence." "To that end, I also denounce and decry all derisive and destructive 'Identity Politics'. Instead, I earnestly seek after and support the shared culture and values of our Constitutional Republic, including a diverse citizenry, but united in support of the principles of liberty and equal justice." "Accordingly, I will continue to strive to pursue and protect our individual liberty, personal accountability, and personal empowerment. It is the pursuit of these principles of good governance that will give us meaningful tax reform, protect retired senior citizens and working Mountaineers, defend our personal right to bear arms, provide for the local accountability of our schools, better treatment of our school teachers and state employees, and to safeguard our personal property rights and pro-life family values." "Additionally, more needs to be done about the drug and alcohol abuse that rages throughout West Virginia. And so, our West Virginia legislators, in addition to enacting other prudent measures, should lead by personal example. 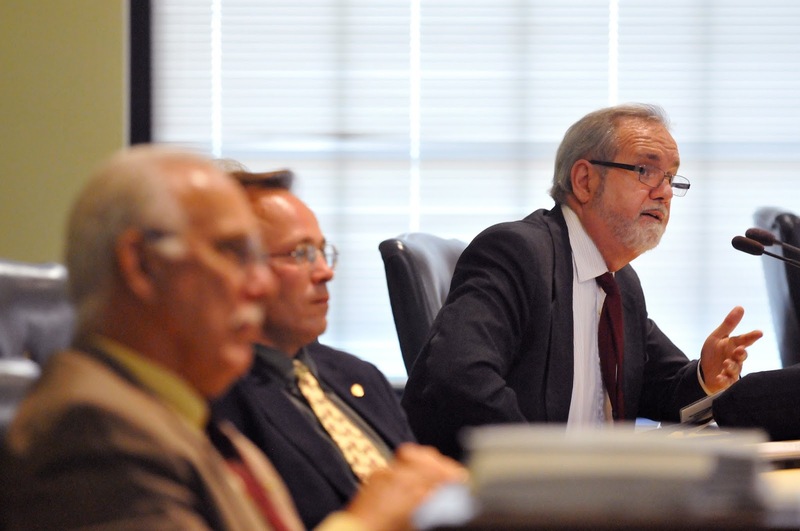 That's why I'm proposing mandatory drug abuse testing for all West Virginia legislators." "Also, the destructive and discouraging aftermath of drug and alcohol abuse could and should be reduced by further reforming our sometimes ill advised laws, which still make it too difficult for the repentant and redeemed to re-enter the workplace, thereby becoming self-sufficient and tax-paying members of our communities." "Meanwhile, West Virginia still faces challenges. Times still are too hard for far too many Mountaineers. That's why we need tax reform, but not more tax burdens. "A better way is to restructure our already ample state budget, by reforming our tax system and state government programs. Among other things, this could and should lead to improved highways, reduced (not increased) gasoline prices at the pump, better broadband and cell phone access, and the elimination of state taxes on our social security benefits and all pensions. 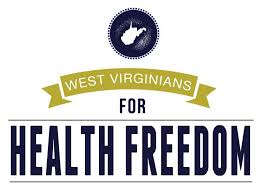 "Finally, the persistent problem of West Virginia's aging and declining population adversely affects all of us, even including our representation in the United States Congress. In reviewing our state government policies and tax structure, a serious study of how to reverse this decline also should be undertaken, and I have been working on some ideas to turn around this problem." "Of course, much more government transparency and accountability also are essential for all of this to happen." "And so, I pledge to continue my own personal and public practice of integrity, accountability, and transparency." Mr. Kump has over forty (40) years of extensive experience and skills in public policy and administration. He also is a kinsman of founding father Patrick Henry, Town of Hedgesville founder Josiah Hedges, and former West Virginia Governor Herman Guy Kump. 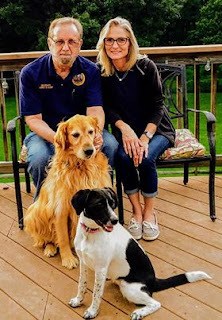 Further, for over the past twenty-seven (27) years, former Delegate Kump has lived at the same location and within the current West Virginia House of Delegates District #59. West Virginia House of Delegates District #59 includes the northwestern area of Berkeley County and the eastern area of Morgan County. Please join the Mountaineer League of Extraordinary Citizens!, and make a difference! Falling Waters, West Virginia 25419-1131. For further information about Larry: Read the "Kump Biography" and more at this website, as well as the posts @ www.LarryKump.com. Contact Larry in person at (304) 274-3104 or email him at kumpster@mailstation.com. Cash contributions will not be accepted. Also, West Virginia law does not allow the solicitation of campaign contributions from West Virginia public employees, and it is not intention of this campaign to do so. Any known contribution received from a West Virginia public employee will be returned. All contributions over $250 must include your home and mailing address, occupation, and the name of your employer. No Primary election contributions over $1,000 per person are allowed. Please share this news with others, and also ask them to go and do likewise! Authorized by "Friends of Larry D. Kump"
Recently, some elected and wanna-be elected local and county officials have proposed that West Virginia rescind our law prohibiting automatic speed camera traffic ticket fines. However, as I have repeatedly and persistently proclaimed, "Orwellian" mass surveillance is not an effective or prudent remedy for traffic problems. (George Orwell is the author of the grim "1984" novel about intrusive and abusive government). 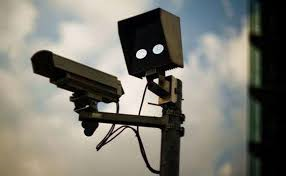 Other state and local jurisdictions also have been running away from the terrible practice of automated traffic camera fines. Nevertheless, some of our neighboring local governments in the State of Maryland continues and even is expanding this practice, causing a few folks hereabouts to want to go and do likewise. Fortunately, there is little or no interest by the West Virginia State Legislature, to repeal our Mountaineer prohibition of automated traffic camera fines. While the United States Supreme Court has yet to make a definitive ruling about the Constitutionality of automated traffic camera fines), many jurisdictions throughout the nation are abandoning this horrific government motorist harassment and money grab. Meanwhile, let's lay this awful idea to rest, and avoid the spectacle of automated traffic camera fines being our "Welcome to West Virginia" message and greeting. and have wisely prohibited the use of speed cameras in the Mountaineer State, at least for now. Former Hedgesville Town Clerk stands up & speaks out! "As a Berkeley County resident and former municipal administrator for eleven years, I am casting my vote for Mr. Larry Kump for the West Virginia House of Delegates, District 59. Having worked with Mr. Kump for many years I can attest to Mr. Kump's dedication to public service and love for his community. His experience has been well-documented over the past several years, having served two terms as Delegate for District 52 and District 59. His tireless efforts are greatly appreciated, as are the goals he has articulated with his campaign. Mr. Kump has been endorsed by the NRA and the WV Coal Association. His dedication to being a positive voice for District 59 won my support. I wish him the very best on November 6. "My vote will be for Larry Kump. Larry is a long-time resident of Berkeley county with past experience in the State Legislature. Though some might think new blood is good, good experience is also good! Larry is financially and politically conservative, but understands the value of being Independent. His hands are not tied by party planks, nor is he beholden to strict party donors. He is willing to, and in the past, was recognized for his innovative policies and for reaching across party lines to actually get work done! And anyone that thinks more hard liners are what we need, all you have to do is look at the wonderful lovefest of DC to know just how productive things are there. 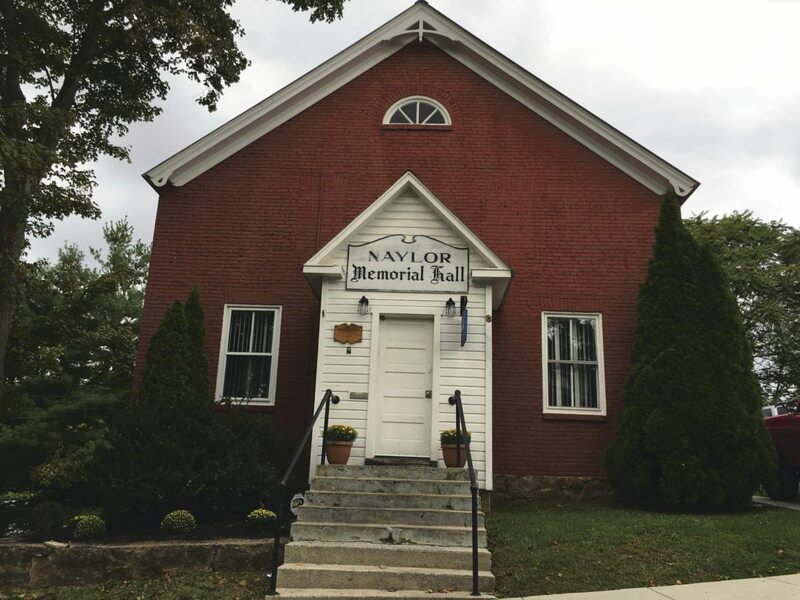 During last year’s Hedgesville Heritage festival, Hedgesville’s own residents asked him to run again! 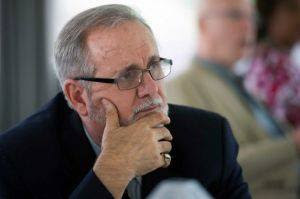 Please join me in voting for Larry Kump! 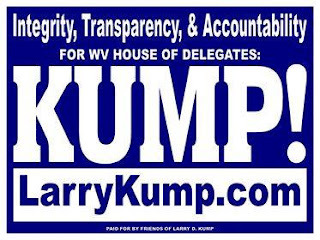 "Larry D, Kump served in West Virginia as Delegate from 2010 through 2014, and has great knowledge in serving our state. 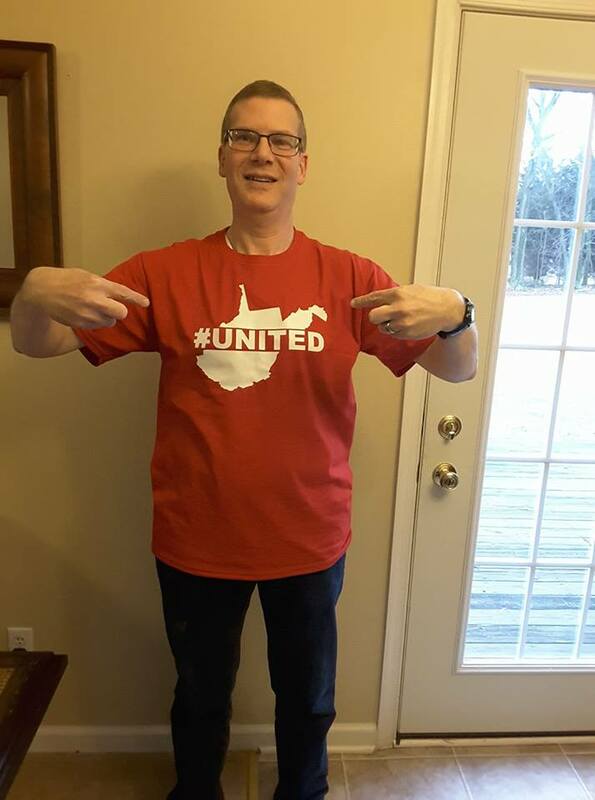 Larry is a true conservative and deserves to be our delegate in the 2018 Election. Larry believes in God, family, and holds conservative values close to his heart. He believes in keeping taxes low, in religious liberty, in the value of life, and the right to bear arms. He is endorsed by many conservative groups. Let’s keep West Virginia conservative and vote for the right person – Larry D. Kump! Visit www.LarryKump.us and www.LarryKump.com for more about Larry D. Kump and the issues. Please share this message with others and may God bless you all real good! 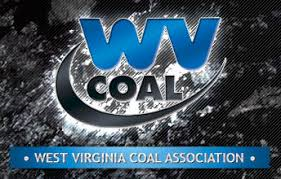 We are pleased to inform you that the West Virginia Coal Association’s political action committee, West Virginians for Coal, has unanimously endorsed your candidacy for the West Virginia House of Delegates, District 59. The coal industry is grateful for your vocal support and for observing the importance of mining to the great state of West Virginia. We look forward to working with you on various programs designed to move our state forward and to keep our miners working. Good luck on November 6! "Mr. Kump distinguished himself in past legislative sessions by supporting the rights of West Virginians to make health care decisions for themselves...Mr. Kump supports patient rights to self-determination..."
Visit Larry D. Kump's Facebook posts (www.LarryKump.com) and also www.LarryKump.us for his views on numerous other good governance issues.. The political action committee of the West Virginia Bankers Association endorses and supports Larry D. Kump's election to the West Virginia House of Delegates District #59 (Berkeley-Morgan counties). 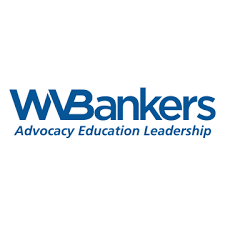 The :West Virginia Bankers Association supports and endorses Larry D. Kump;s "desire to develop and implement sound public policy aimed at strengthening the financial services marketplace, preserving important protections for consumers and growing our economy."